A router in today’s world is no less than a necessity. For all our internet needs, a router plays a very important role. The issue is with the speed and the outdated softwares that the routers and systems running them are using. In this post, we shall be discussing about 5 unique ways that shall help you boost your wifi speed. The very obvious first choice shall always be to change the router but you can think of all these 5 ways as the alternatives to boosting your wifi speed. Most of the users believe that a router won’t ever require an update but unlike other devices. A router always requires a software update to keep up with the changing network protocols. Companies which manufacture routers are always dispatching small software updates that fix the routers. Most modern routers have a system built such that you just have to hit the upgrade button and the process happens automatically. In case you are using a very old router, make sure to update the settings and drivers by going to the official site of that router. If your wireless router is not detoratiating then make sure to update the firmware on a very frequent basis. You will be happy to know that once done you will get performance upgrades and bug fixes. When we were small kids, all of us have played over walkie talkies. They are like two units but working on the same channel. We both could hear each other. A similar thing happens with the monitors. All the modern day routers are like this only. They are multichannel which means they can very easily switch across different channels when communicating to your devices. You may use whatever default device you have but if there is an neighbouring device using the same channel then you will encounter a signal congestion. To see it happening you can see so by going to the command prompt (windows 7) and type netsh wlan show all. Once you know what channels are in use, you can pick one that’s less congested and manually switch the router to broadcast. In case you are adding an external antenna then that is way much better than relying on the only antenna that you have. There are many router manufacturers that sell omnidirectional antennas that send a signal to all the directions. At the same time most of the built in antennas are omnidirectional which means if you are buying one then it should ideally be marked as high gain to actually make a difference. Meanwhile a directional antenna tends to be a better choice as since odds are that you are not experiencing weak spots in your particular location. This is a very common way when you just go and buy a new extender which does a very simple job which is to extend your range. In case you have a huge home where you need a large area that can have it all then you surely require an extender. It is something that boosts your already emitted signals. A range extender looks very similar to a wifi base station, all it has an extra is a few more antennas. 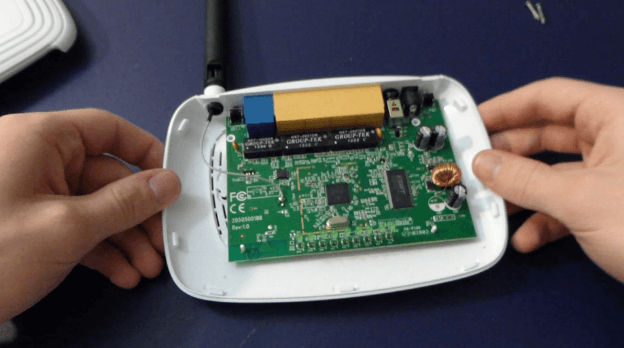 Even though it may not be an antenna, it will still have quite a powerful mechanism which acts as an add on for your router. This may sound gross but it isn’t. The adventurous should look at the open source DD WRT router operating system. There are many major router manufacturers like Netgear, COmcast which offer something called DD-WRT. All you have to do is to use it and install it on any router that you have lying around. DD-WRT can even uplift your performance and give you access to more advanced networking features including a VPN (virtual private network), security and also granular customization. There are many more ways but make to try them all at your best level and only if they don’t work as a fix, let us know in the comment section. How to connecting network without LAN using the hard drive ?